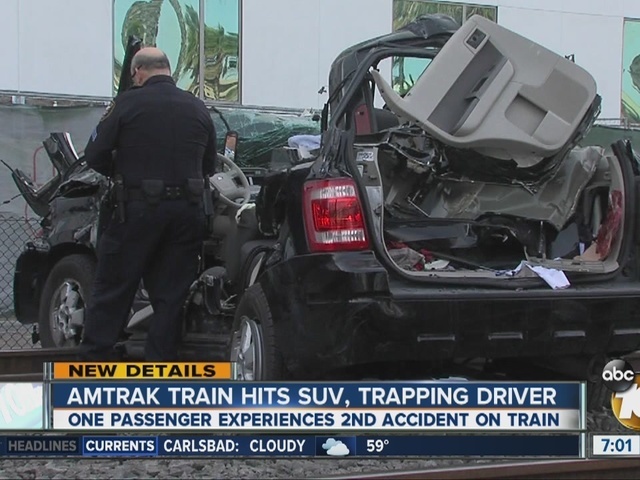 SAN DIEGO (CNS) - One person was rushed to a hospital with serious injuries after a collision this afternoon between a vehicle and an Amtrak train just north of downtown San Diego, authorities said. 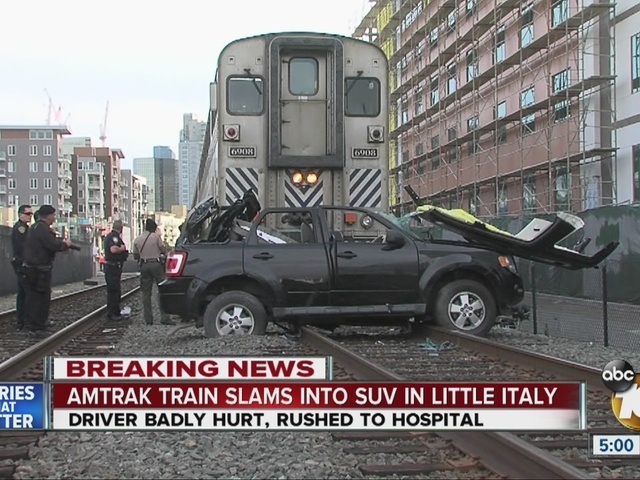 The 1:50 p.m. collision happened where Hawthorn Street crosses the railroad track. The roadway is the main route to Lindbergh Field for drivers coming off northbound Interstate 5. 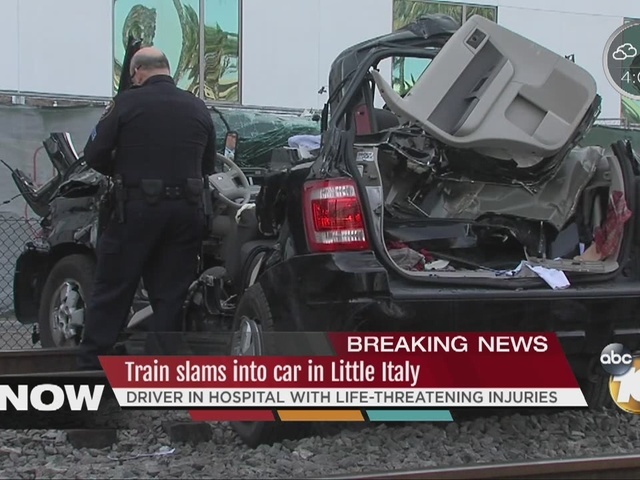 The unidentified driver, who had to be cut out of the vehicle, was taken to UCSD Medical Center with life-threatening injuries, a San Diego Fire Dispatcher said. "I'm glad he's alive," said witness Fred White. "I'm actually impressed at the shape that he was in. I think that side window airbag saved his life." 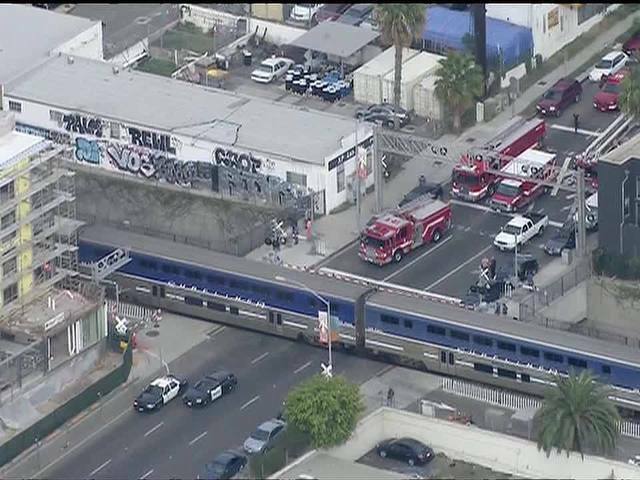 The North County Transit District announced that a northbound run of its Coaster train from the Santa Fe Depot was canceled because of the collision.